Quick drying water based primer and undercoat. Suitable for use on all interior and exterior hard and softwoods. Approximate coverage 13m2 per litre. 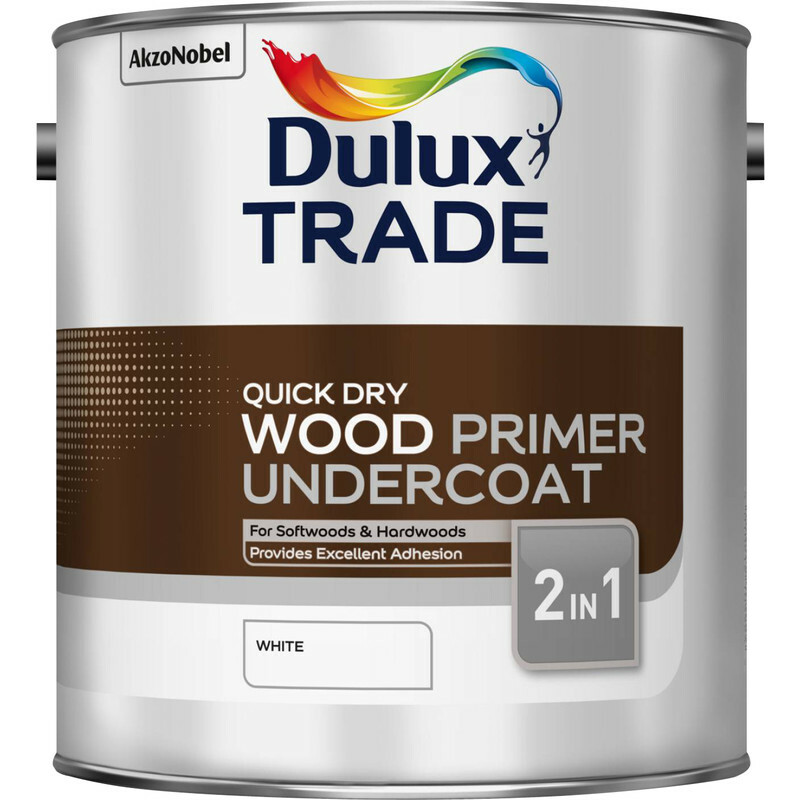 Dulux Trade Quick Dry Wood Primer Undercoat Paint White 2.5L is rated 4.9 out of 5 by 7. Rated 5 out of 5 by Bhhhhh from The only undercoat I use Excellent. Several tins used in the past. Dries quickly saving time. Rated 5 out of 5 by StewW from Great This is the second tin I’ve bought, I don’t need it just now, but it’s nice to have on the shelf ready for use, easy brush cleaning too. Rated 5 out of 5 by MeasureTwice from Excellent Primer! This is an excellent quality primer that covers well to a smooth finish. Quick drying and water based means that multiple coats can be be applied in one day and clean up is easy. Low VOC's also, which is a bonus.